* can easily be subbed with brown sugar. ** can easily be subbed with your favourite milk. 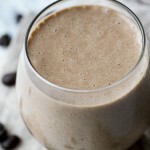 Use dairy or soy to make this nut-free. Looking for more mug cake recipes? Try one of these! Do you use your microwave a lot? Oatmeal cookies: with chocolate chips or raisins? « . thinking out loud #135 . Bake or no bake, they look awesome! 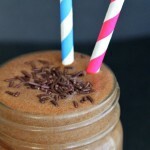 Great recipe for the LAST weekend of Spring…Summer is coming!!! Seasons mark the important events in our lives and help us make sense out of our time here. 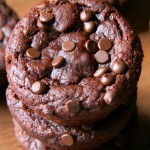 Baking provides sustenance and joy to the body and mind. As far as oven heat in the summet used to be common to have a smaller second stove on a covered back porch or in the basement – especially when things were still wood fired. Prep and plate in the kitchen, but bake away from the main part of the house to keep it cooler.. it also allows for additional dishes at during holidays or when entertaining. GET OUT. I want. Definitely making this. I love that it doesn’t have a ton of ingredients too! This sounds fantastic!! Not having a microwave, however…. Haha. It’s great though that your mama raised such a healthy kiddo. Incredible, I’m drooling 🙂 I would also say microwave means no bake, but I had to laugh at posting definitions because I’m always looking things up while blogging, even obvious things, just to make sure! Love this. Too bad I passed on the coconut flour yesterday in trader joe’s. I gotta go back to get it! I mostly use my microwave for the simple “heating things up” purpose. 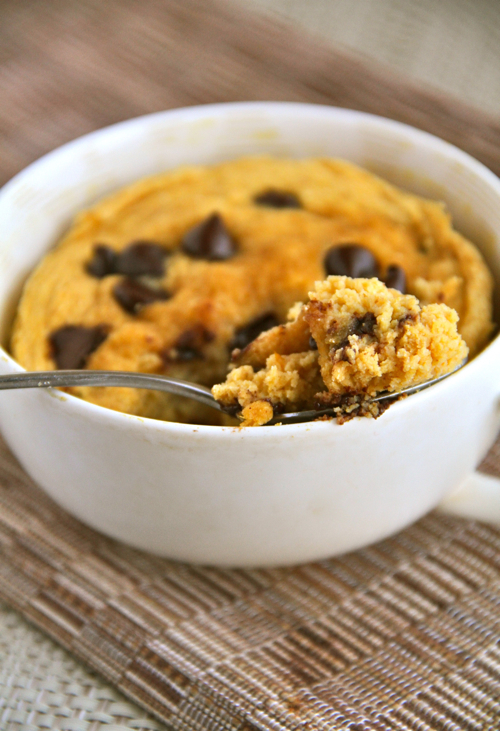 However, I think I’m going to have to try some mug cake recipes (like, uh, this one!) 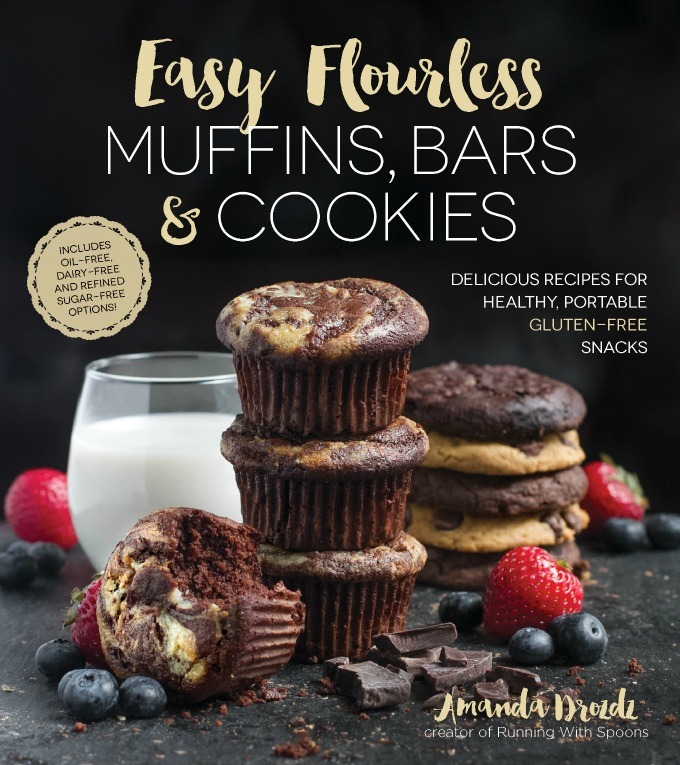 because they look so fabulously easy and delicious. And I’m a chocolate chip person. I like raisins fine, but chocolate wins everything. Oh yes. Anything that resembles cake that I can quickly make in the microwave gets my vote! Thank you! 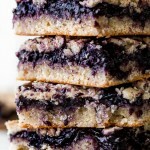 Bake or no bake doesn’t matter – these look delicious! I, too, got rid of my microwave, just don’t trust that it is healthy. So if I wanted to cook this in a toaster oven or regular oven, about how long should it be cooked? And do you think honey would mess with the recipe instead of palm sugar? Hmm. I would say start at around 10-12 minutes and keep an eye on it from there. And honey should work just fine. You might only need a tsp. of it since it tends to be sweeter than sugar. I do not eat bananas. Not even as a baby. Mom said I spit them out every time she fed them to me. 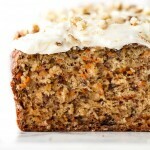 Is there something I can substitute in place of bananas in baking recipes? That really depends on the recipe, Terri. Pumpkin puree does a similar thing, but that obviously changes the taste. 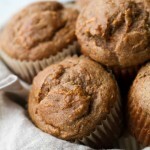 Applesauce would be a safe bet in things like muffins or breads (1/2 cup applesauce = 1 banana). Otherwise I’d think something like silken tofu or even yogurt would be okay. Yuuummm I need this! I’ve heard about microwaves being bad for you and I just ignore it because I’m too lazy to ever get rid of mine haha. Cake in 5 minutes for the win! Yum! This looks so incredibly good and simple to make! Oh wow that looks amazing!!! This would be perfect for breakfast. I love chocolate chip cookies for breakfast, but I think I could probably manage tying this out! 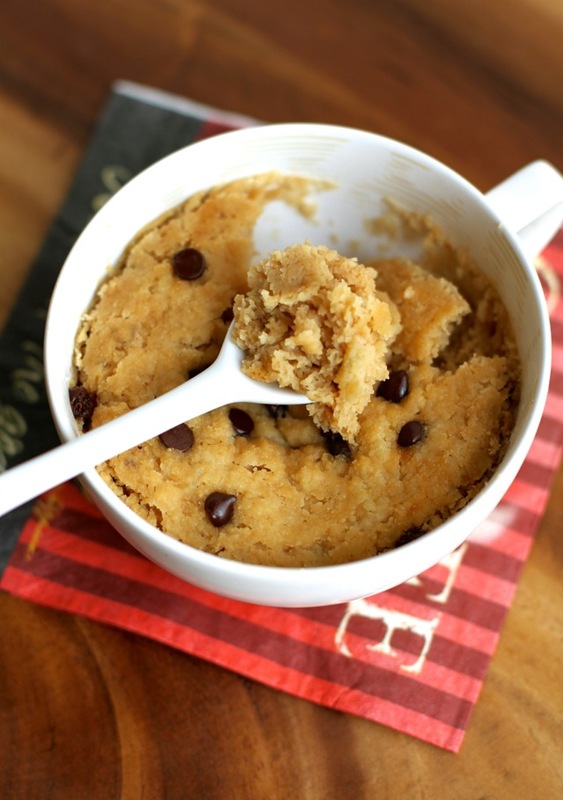 Cookie dough in a mug. This looks amazing. i think it would be really nice for on the go. If I didn’t have a microwave…I would die. My mom’s boyfriend doesn’t have a microwave and she tells me what a struggle it is whenever she wants to make/heat something over there! Haha! I can’t imagine life without one! It’s so hard for me to grasp that it is summer because to me it was summer from October-April… and the weather has been awful since May. I honestly rarely use my microwave… I’m a big fan of the stove top/oven to reheat foods… but I could probably use making a mug cake ASAP. That looks so good! I didn’t have a microwave for a while when I got my own apartment, but I finally got one and I use it for mug cakes and single serving cookies all the time. No joke, I’m probably going to make this right when I get home. I’m so excited for the start of summer, and for Sunday to be the longest day of the year; I want to savor every second of sunlight! I don’t know if you’ll know this, but if I have liquid egg whites, how would that factor in? Thanks girl! It shouldn’t make a difference, I don’t think. Just use the equivalent of 1 egg… which is something like 3 Tbsp. of whites? I am soooo happy you back to posting mug cake recipes! I love them as a quick snack or dessert. I use the microwave occasionally..usually just to heat things back up and not to actually cook anything. Your double chocolate and mocha mug cakes have been a staple in my kitchen 🙂 . But that’s the only time I’ll use the microwave yeah…I believe they aren’t..erm, beneficial. Ohhh the doughy factor is killing me here – me love! 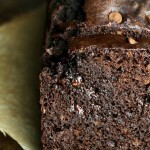 I can see this beauty topped with some drippy nut butter..mmhm. You are TRULY my hero. Mug cakes are my favorite!! I need this in my life right now. IM SO HUNGRY. And I have a bag of coconut flour I need to finish up, so thanks for giving me ideas! 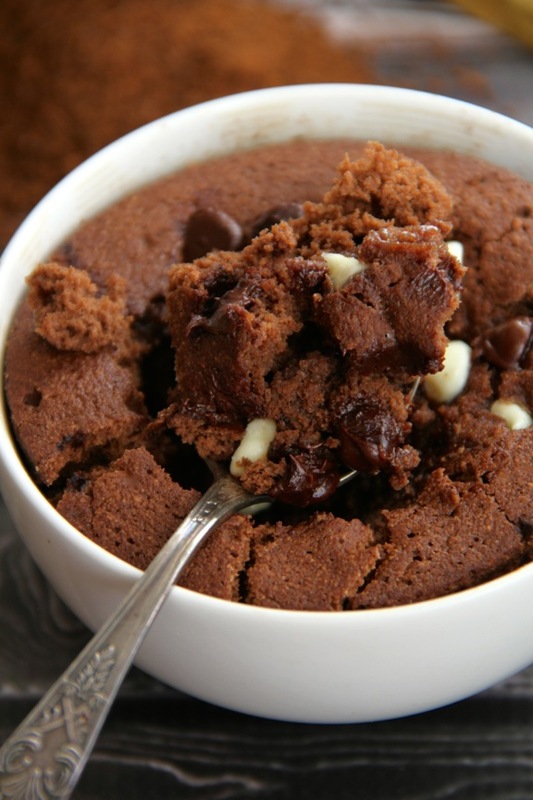 I haven’t made a mug cake in forever so definitely need to try this one out. This is EXACTLY how I make my mugcakes! Coconut flour is a must…it makes the texture perfect! 😆 That’s pretty much where mine goes! I love the idea of using it in baked goods, but not the fact that it usually means tossing in, like, 5 eggs 😯 Mug cakes and no-bake are my favourite uses for it. Holy yum. I literally licked my lips when I was reading your description!! You had me at Oatmeal Cookie Dough! YUM! I’m thinking this is tomorrow’s breakfast. Thanks! Oh MAN. I can’t keep up with all your recipes that I want to make before going back to college! You may know that I’m a huge fan of your banana bread mug cake, so you know I’ll be trying this one. And I did buy coconut flour just for that mug cake 🙂 A great investment indeed. As of right now, I do not have a microwave 🙁 soon we will buy one! I prefer chocolate chips…or butterscotch chips. They are the best! That moment when you see a recipe and you think you’d REALLY like to try it…and you actually have all of the ingredients in your house. Ah! So making this soon! okay what’s sweltering to you Canadians? LOL! either way, it’s a NO BAKE to me, yes! microwave for the win, a life save for us texas summer folk! and YUM!!!!! Personally, anything above 80 makes me feel like I’m going to die. My favourite temp is probably somewhere around 72 — does it even get that cold for you in the winter? The recipe sounds truly perfect. I’ll definitely give it a go, however habe to use the oven since I’m microwave-free as well 😉 no big deal! Actually, oats are naturally gluten-free — it’s only by being processed in the same facility as wheat products that they can pick up traces of gluten from cross-contamination. But there are plenty of brands out there that make certified GF oats for those who need to avoid it. Not even being cheesy but I love that spoon…the picture spoon. Coconut flour may be my all time favourite baking/non baking item ever. I made cake last night too. Granted it was filled with all the things omitted from this recipe, but I’m excited to eat it. It’s a Strawberry Rhubarb Upside Down Olive Oil Cake, and the olive oil makes it dreamy and so very moist, which is perfect in a cake. It’s also icing free since the top layer is a combination of sweetened rhubarb and strawberries. Dirty birdie. Sign me up. Inspires me to make some. Great recipe! Needed a new mug cake recipe, getting a little tired of my usual one! This needs to happen immediately! Cookie dough healthified? Yes, please! Oh my goodness, this looks and sounds heavenly! Does this mug cake taste very coconut-y? I’m not a huge coconut fan but I would love to try this and your other mug cakes. I’ve tried SO many mugcakes and they all usually turn out like hockey pucks. But I just made this one and it’s AMAZING. I subbed the coconut sugar for turbinado sugar, and it turned out great! Just made this…ok actually made 2 because the first was so good my little guy ate half. I justified that as needing to make us a second to share. Only thing was it was fully cooked in my microwave in a minute and 20 seconds. Hi, I am a huge fan of your recipes! I was wondering if this oatmeal cookie dough mug cake can be cooked in the oven as I don’t have a microwave?? I haven’t tried it personally, Ruth, so I can’t say 100% for sure… but I don’t see why it wouldn’t work. You would probably have to bake it anywhere from 15-20 minutes though. 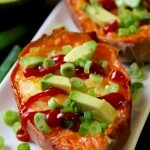 Can this recipe be cooked in the oven because I don’t have a microwave? Where do you get a mug like that? I got it from Homesense a handful of years ago, but it’s actually just a regular sized mug. Pictures can make it hard to tell how big something is. 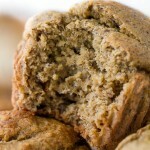 Can I use almond meal instead of the coconut flour? Unfortunately no. 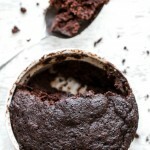 Coconut flour is unique in the way it absorbs liquid, and that’s what allows this mug cake to stay nice and moist without any oil. If you swap out the coconut flour, the texture will be completely different. 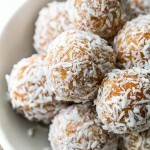 made this with a whole egg, added some cinnamon, nutmeg, walnuts aaaaand coconut flakes n it was delish! my first mug cake ever! thank you! I used a few different ingredients and I didn’t think it would matter, but it did. 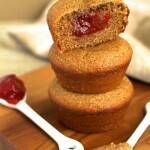 I used steel cut oats, TJ’s gluten free all purpose flour, coconut milk and raw organic sugar. I don’t know what happened, but it was all kinds of wrong. huh. Well, I ate enough chocolate chips in the process that it satisfied my craving. May try again if I have the exact ingredients. I love the idea. Hi Brittany! The steel cut oats were most likely the culprit. They take a lot longer to soften up than rolled oats do, so they’d pretty much still be raw and crunchy after only a few mins in the microwave. Just to let you know I have successfully made this with an egg substitute! It didn’t look pretty it it tasted awesome. I mixed 2 tsp milled chia (you could use ground flax) with 2 tbsp water, left it in the fridge for 5 mins and added instead of the egg white. bookmarked, love it!! a bit of protein from the coconut flour and texture of the oats = perfect 😀 i’ll be trying it with an egg sub! This was delicious! I used a half a tbsps of stevia (I am hypoglycemic), left out the chocolate chips but added a tbsp of peanut butter for some extra protein. Drizzled with a little honey on top!! Perfect evening snack! Um… I know I’m a bit late to the post, but it is a “microwave oven”.